A seismic US$50 million investment in societal change in Australia and New Zealand by US-based Atlantic Philanthropies will create a new Fellowship program led by the University of Melbourne that will train a new generation of leaders committed to tackling social disadvantage. With an additional $40 million in support from the Australian Government, the new Pacific regional hub of the Atlantic Fellows for Social Equity Program will award 25 new Fellowships a year for 20 years. Total funding will amount to $160 million, including contributions and in kind support from the University of Melbourne and its partners including the University of Auckland, Queensland University of Technology, the Brotherhood of St Laurence, the Business Council of Australia, and Jawun. A major focus will be on recruiting potential leaders from excluded groups, particularly Indigenous Australians, to drive change from the grass roots up. It will create over its lifespan a cohort of up to 500 leaders from a range of backgrounds, sectors and disciplines to help future proof the country against the corroding affects of social exclusion that governments around the world have struggled to address. It is one of the largest philanthropic contributions to an Australian university and is unique in being specifically targeted at positive social change. 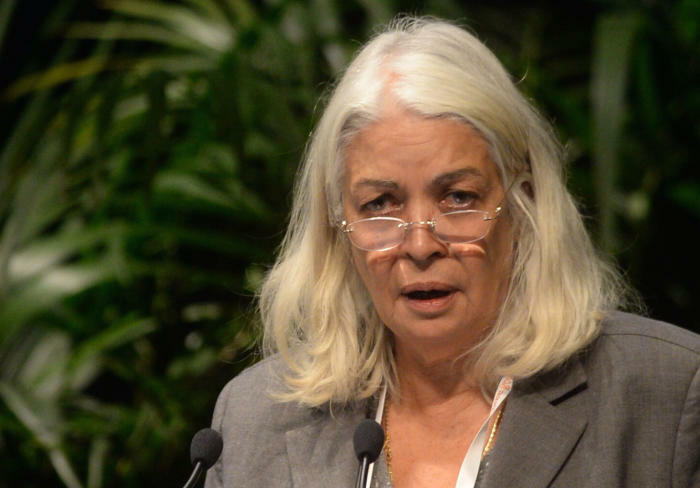 Professor Marcia Langton, AM, says the program is unprecedented its ambition and the range of partners involved, making it nothing short of “nation building”. “There is a growing realisation around the world that social exclusion, especially economic exclusion, is putting democratic societies at risk, and that makes an investment like this in future leaders from excluded populations a nation-building exercise that will help ensure a healthy and secure society,” says Professor Langton, the Foundation Chair in Australian Indigenous Studies at the University of Melbourne. The program was announced in Canberra by Prime Minister Malcolm Turnbull and University of Melbourne Vice-Chancellor Professor Glyn Davis on 14 October 2016. It will be initially focused on Australia and New Zealand, but will be expanded to other Pacific Nations to create a regional hub of leadership training to combat disadvantage. “When people consider the need for major investment to improve the county and prepare it for the future they often think of investing in infrastructure. But what is forgotten is that it is people who drive positive change and this is what the Australian Atlantic Fellows are all about,” says Program chairman Professor Tom Calma, AO, one of Australia’s foremost social justice campaigners and Chancellor of the University of Canberra. 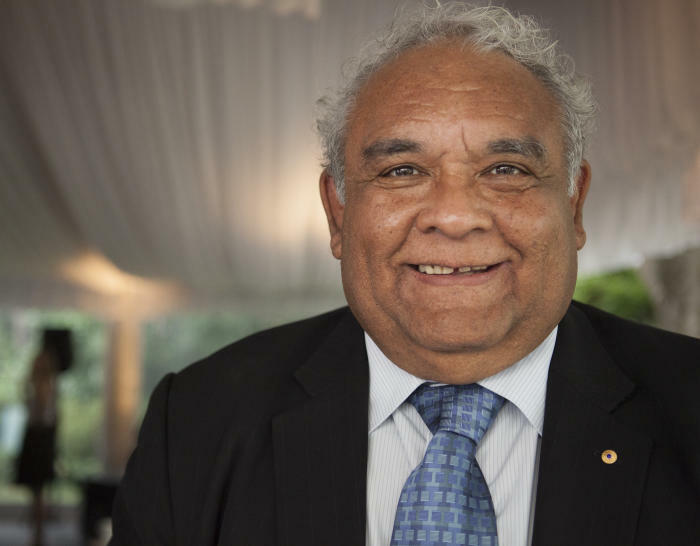 Professor Calma is a former Aboriginal and Torres Strait Islander Social Justice Commissioner and Race Discrimination Commissioner, whose landmark Social Justice Report in 2005 was the catalyst for the Close the Gap campaign. The ongoing campaign, which was taken up by government, calls for the life expectancy gap between Indigenous and non-Indigenous Australians to be closed within a generation. Professor Calma has spent much of his 40-year public sector career in training and mentoring people and argues that investing in people is critical for addressing social disadvantage that is a key determinant of poor health, education and employment outcomes. He says this Fellowship program takes investing in people to a new level by focusing on encouraging those who are at the stage in their careers where they can use their skills and influence to lead change. “People often want to do something but just don’t know how to do it, or they think others are better qualified to do it. But everyone can be a leader,” he says. Professor Langton warns that the fast pace of technological change and global interconnectedness now requires leaders who are highly skilled and collaborative. Such prepared leaders simply don’t emerge by accident. “People who are prepared to be change agents now need very sophisticated skills and access to networks, as well as being able to plan and implement initiatives. In the 20th century leaders could perhaps drive change without such skills, but that is no longer the case in the early 21st century where the rate of technological change is phenomenal,” she says. “The emphasis of this program will be on giving young leaders the best mentors and training available to ensure there are decision makers and leaders for all these populations who are at risk. “Bringing about social change in a deliberate way with the kind of generosity that this program has access to will make an enormous difference of a kind that I have never seen before. 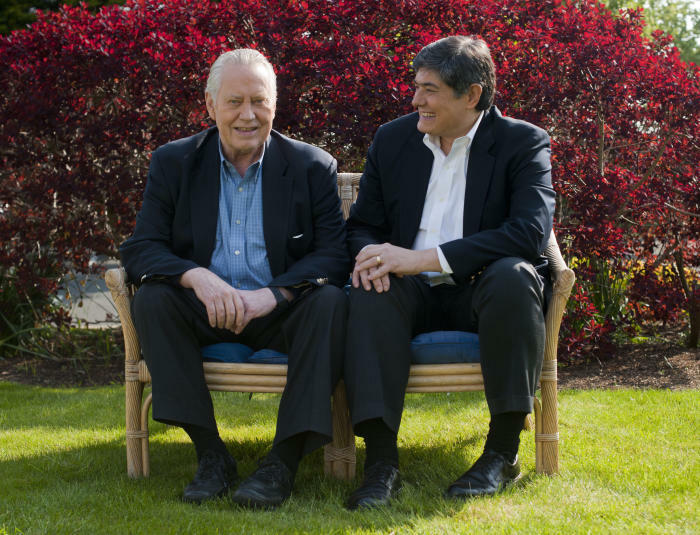 Atlantic Philanthropies, founded in 1982 by entrepreneur Chuck Feeney, has long been a key supporter of Australian universities and medical research, and around the world has given away almost US$7.5 billion. It was Mr Feeney who created the global Giving While Living movement and he has inspired billionaire philanthropists Warren Buffett and Bill Gates. Mr Feeney has previously said that “when it comes down to it, it is always people” and that has driven Atlantic’s strategy to use its last year of grant making in 2016 to create a global network of leadership fellowships for social equity. Atlantic calls it “betting big on people” and the University of Melbourne program will be the sixth in what is a global network of leadership development programs known collectively as the Atlantic Fellows. The 12-month fellowships start in mid-2017 and will take in mid-career candidates who already have deep subject matter skills and knowledge. The program, which will be delivered by the University of Melbourne, will provide leadership training, mentoring and networks both here and internationally, as well as fieldwork opportunities. Professor Davis says the Atlantic Fellows arrive at an important time, and will help build capability in a new generation of leaders. “Our leadership styles should reflect the reality of the current world,” he says. Closing the Gap - good policy or just target practice? “The approach that the Fellowships will seek to embed in the next generation of social change leaders will build on Indigenous leadership paradigms that are ideally suited to promoting collaboration; between other Fellows, amongst those in the wider Atlantic Philanthropies network and beyond. In an increasingly interconnected world, such collaboration is not just a happy by-product of this leadership program, it is essential. The need for leadership in addressing social disadvantage in Australia is pressing. The difference between rich and poor in Australia may not be as wide as in places like the US and UK, but income inequality here is growing faster than in most other comparable countries and is already above the OECD average. An Australian in the top 20 per cent income group here now earns five times as much as an Australian in the bottom 20 per cent. At the same time there are areas of entrenched disadvantage such as in Indigenous communities having to live with the legacy of colonialism and exclusion. While Indigenous Australians make up 3 per cent of Australia’s population, nearly 40 per cent experience social exclusion. For example, Indigenous Australians are 14 times more likely to be homeless. The Australian Government’s latest progress report on Closing the Gap was mixed. While targets to reduce Indigenous child mortality rates and boost Year 12 attainment are on track, progress on closing the gap on life expectancy was lagging and progress on targets to boost numeracy and literacy were mixed. Crucial to the success of the program will be the selection process. Initially Fellows will be chosen on the basis of recommendation from the partner organisations, but within three years it will be open to application. And what they will be looking for fundamentally is altruism and the ability to be influential. “Fellows will have to be people who aren’t in it for their own benefit, but are there because they recognise how they can contribute positively to society in the long term,” says Professor Calma. Medical researcher and emerging leader in the Indigenous community Dr Misty Jenkins welcomes the Fellowships as a unique initiative that puts people at the centre of solving social problems. It is an approach that she argues is crucial for making sustainable progress toward ending Indigenous disadvantage in particular. 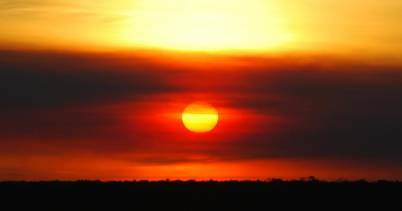 “Addressing the health and education inequalities of Indigenous Australians is a complex problem. The solutions that will work will have to come from the grass roots up – from the community itself,” says Dr Jenkins who has heritage stemming from the Gunditjmara nation of western Victoria. “The only way to do that it is encourage and enable Indigenous people into leadership roles, whatever their background, be it politics, law, government, healthcare, science, engineering or business. 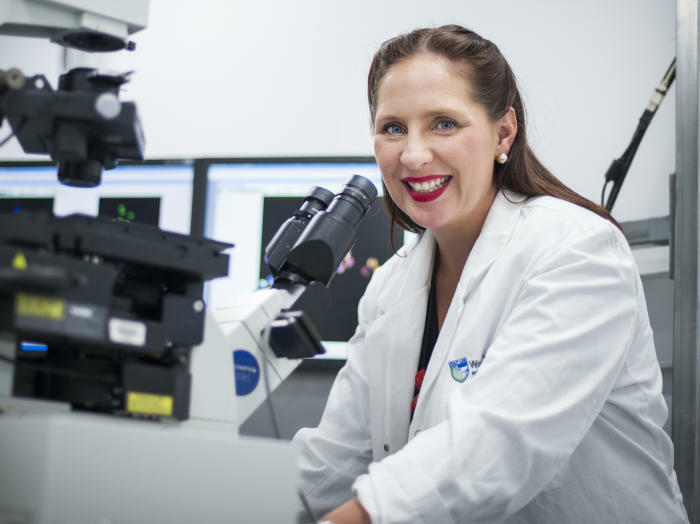 Dr Jenkins’ own background is one where there was no expectation of going to university, let alone carving out a career in competitive medical research at the Walter and Eliza Hall Institute. She credits her mother with giving her the confidence and resilience to push herself such that as a fresh Melbourne University science graduate with no connections she had the temerity to simply ask Nobel Laureate Professor Peter Doherty for a place in his lab. She got it. But she says pushing your own career isn’t what the Atlantic Fellowships are about. If social disadvantage is to be tackled, she says it needs leaders who are prepared to use their positions to push for social change and innovative ideas. That is what she believes will be the real strength of the Fellowships, which are aimed at mid-career candidates who are in a position to use their leadership abilities to give back. “This program is targeting to recruit people who are committed to social justice and to fighting for the oppressed, who come from the full range of disadvantaged groups in our society,” she says.